IBEROSTAR is the name behind the world’s most stunning all-inclusive destinations. With a flawless attention to detail, IBEROSTAR Hotels & Resorts has been created to treat guests to the most memorable vacation — one that they will want to repeat again and again. 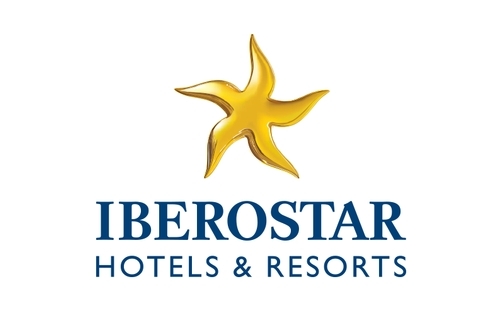 While each of the more than 100 IBEROSTAR Hotels & Resorts, spread throughout 15 countries, is an experience all its own, each share common IBEROSTAR values, beginning with a warm, friendly staff devoted to a guest’s complete happiness. Elegant design, deluxe accommodations, extensive recreational options and delicious all-inclusive dining are just a few of the pleasures to be discovered at IBEROSTAR Hotels & Resorts. Whether traveling as a family or looking for a romantic, adults-only getaway, IBEROSTAR is dedicated to making each guest feel like a star. The ultimate in all-inclusive, adults-only luxury. At IBEROSTAR Grand Collection Hotels, guests experience the world’s highest level of service and grandeur. Personalized butler service caters to every desire. World-class spas melt the world away, and suites are, in a word, spectacular. The Grand Collection features fantastic architecture, endless pampering, gourmet dining, 24-hour room service and true indulgence. At IBEROSTAR Grand Hotel Paraíso in Riviera Maya, Mexico, IBEROSTAR Grand Hotel Bávaro in Punta Cana, Dominican Republic and IBEROSTAR Grand Hotel Rose Hall located in Jamaica’s Montego Bay, you will discover that IBEROSTAR Grand Collection Hotels embody the unsurpassed level of luxury you desire. For families and couples desiring an upscale vacation experience, IBEROSTAR offers impeccable, all-suites accommodations at several Caribbean locations. Float down the lazy river at IBEROSTAR Rose Hall Suites in Jamaica. Swim in the Riviera Maya’s only wave pool at IBEROSTAR Paraíso Lindo and IBEROSTAR Paraíso Maya. Or explore the casino and unwind in the Caribbean’s largest rooms at IBEROSTAR Bávaro in the Dominican Republic. IBEROSTAR is the name behind the Caribbean’s most sought-after destinations. From adults-only splendor to family-friendly destinations, there’s something for everyone at IBEROSTAR.